We’re excited to announce that Amazon developers can now monetize their apps using Supersonic, a leading mobile monetization and user acquisition platform. The company works with publishers of all sizes, from indie developers to large game studios, helping maximize ad revenues and acquire quality users. Get started here. We are excited to join the Application Developers Alliance for the New York App Strategy Workshop on November 5, where our own Dave Isbitski will share best practices and analytic data from the top 50 in-app purchase grossing games in the Amazon Appstore. Dave will be joined by experts from companies like Tumblr, Twilio, AT&T, Pollen, Millennial Media, Branch Metrics, and more for innovative sessions that explore tips, tricks and advice on app monetization, discoverability, and user acquisition. Join the event for free using code AMAZON. Register today, space is limited! The App Strategy Workshop is part of a 15-city tour proudly presented by the Application Developers Alliance, a non-profit global membership organization that supports developers as creators, innovators, and entrepreneurs. They promote the continued growth of the industry and advocate on behalf of their members on public policy and industry issues. Membership includes a global network of more than 60,000 developers with diverse skills, expertise, and interests; and hundreds of companies that depend on and work with developers. Learn more at http://www.appdevelopersalliance.org/. Want Amazon Developer blogs delivered to your inbox? Stay in the loop on the latest industry best practices, Amazon promotions, and new launches by subscribing to our weekly blog summary here. With Advertise Your App, you can promote your app to millions of users through ads on Fire tablet wakescreens and mobile placements on the Amazon Mobile Ad Network. Getting started is easy; you can create an Advertise Your App campaign in less than 90 seconds, and launch a campaign with as little as $100. And the best part? You only pay when a user clicks on your ads. Recently we added a new feature to help developers improve campaign performance: custom creative. With custom creative, you can upload your own ad creative and use different images and copy for each ad size. You now have several options: you can continue to use the auto-generated ads that we create, you can create custom ads based on your own creative and copy, or you can combine auto-generated ads and custom ads in your campaign. To create a custom ad, login to the Developer Portal and in the “Ad Preview” section, click the “Customize ads” button and upload your creative from there. Not sure how to get started? Below are 5 tips to help you create engaging custom display ads. The mobile game development community is chock-full of vibrant developers such as yourself, with amazing creativity, innovation and passion for games. Chartboost can help get your amazing mobile game in front of millions of players through the Amazon Appstore across Amazon and Android devices. To do that, Chartboost created the GameOn program. Together we’re offering $100 in free Chartboost ad credit to 500 qualified Chartboost users. You can use these credits to promote all your games for which you’ve implemented the Chartboost SDK across multiple platforms –Apple Appstore, Google Play Store and Amazon Appstore. Today, Amazon is pleased to share Chartboost with Appstore game developers. Chartboost is the largest mobile-games only platform, helping game developers increase revenue and discover new players. According to Chartboost, they power over 200,000 games with 700 million monthly active players and drive over 20 billion monthly game sessions per month. Chartboost’s technology enables Amazon developers to acquire players with positive ROI and grow revenue. Their Cross Promotion tool to lets you promote your new titles to the players who already love your other mobile games with free interstitial and mobile video ads. With their unique Direct Deals Marketplace, you can connect with other game developers and act as a publisher and/or advertiser, on terms that both sides agree upon. This allows you to cut out the middleman completely, and keep 100% of the revenue you generate. Amazon developers can conduct large-scale advertising campaigns that reap high quality players with positive ROI and greatly enhance revenue with made-for-mobile interstitial ads and gorgeous, 100% viewable mobile video ads—all through one lightweight SDK. In addition, Chartboost provides an easy-to-use dashboard for developers, with granular control over who advertises in your mobile games, ad location, targeting options and so much more. Developers can start growing their mobile games business on Amazon with Chartboost, today. To get started, sign up for an account and download the lightweight Chartboost Android SDK that takes only five minutes to integrate. Today we announced Merch by Amazon, a new self-service program designed to help you increase revenue through the sale of branded t-shirts designed by you and produced, sold and shipped by Amazon. With the print on demand service, you sell only the t-shirts your customers want to buy. You never have to worry about inventory or out-of-pocket costs. For every t-shirt sold, you earn a royalty. The more t-shirts sold, the higher the royalty is. To get started, simply set-up your Merch by Amazon account, upload the artwork for your t-shirt, and push submit - Amazon takes care of the rest. In a matter of hours, your custom t-shirt is available for sale worldwide on Amazon.com. Once you’ve created your custom t-shirts, you can also promote them in-game on the Android, Fire OS, or iOS versions of your game via Amazon Mobile Ads. Amazon’s new mobile experience, Amazon Underground, is more than just a great shopping app. Sure, it offers customers hundreds of millions of products for purchase, including digital items like mobile apps and games, books, streaming movies, TV shows, and music—but with Amazon Underground’s innovative monetization approach, Amazon pays you for every minute a customer uses your Amazon Underground app ($0.002/minute at launch), and customers pay nothing. If you are a developer of a premium or freemium mobile app or game, Amazon Underground will pay you for each minute your app is actually in use. That means, every minute your Amazon Underground app is being used, it’s generating revenue. Today we introduced Amazon Underground to customers in the United States, United Kingdom, Germany, and France. Amazon Underground is a new Amazon shopping app for Android phones that has all of the functionality of our regular Amazon mobile shopping app plus an exciting new benefit: over ten thousand dollars in apps, games and in-app items that are #ActuallyFree. We’ve made this possible by working out a new business model for developers - we’ll pay you on a per-minute-played basis in exchange for you waiving your normal download or in-app fees. This means, you can turn 100% of your Android users into revenue-generating customers, so from the minute your customers start playing, you start getting paid for each minute they use your Amazon Underground app. It’s a win for both customers and developers. There has never been a better time to integrate the Amazon Mobile Ads API into your game and now with full support for Unity, it’s easier then ever. In this post I’ll walk you through how to get everything up and running as well as how to build a simple test in order to make sure ads correctly load and display. 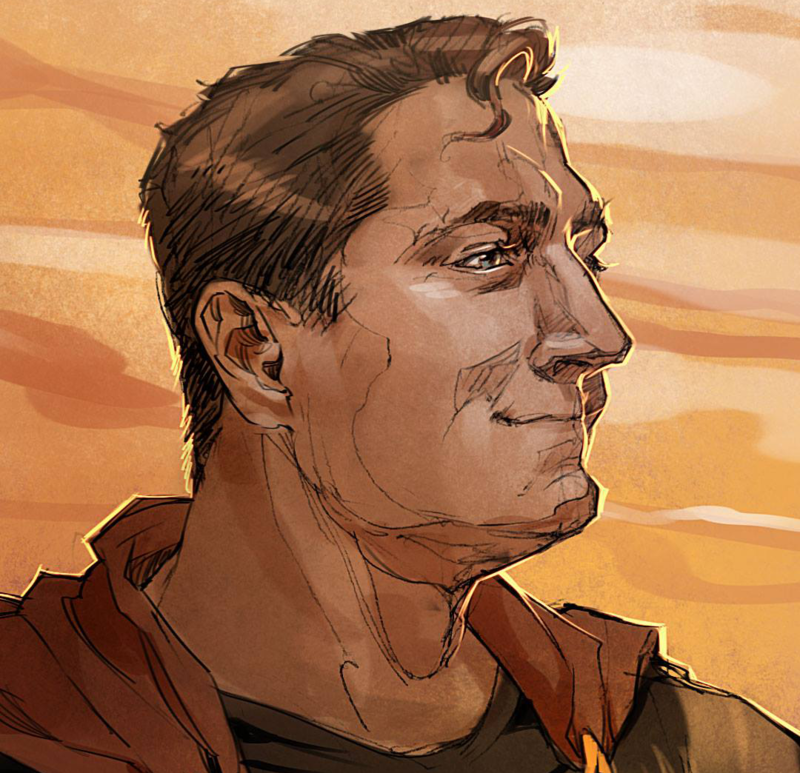 Before we get started, you’ll want to read over this page and follow instructions 1 – 5. This will cover setting up the application key in the developer portal, setting up your tax information as well as downloading and installing the SDK. Once you’ve followed those steps you should be ready to test out that everything works. For this post, I’m using an empty Unity project. You can do the same steps in your own game as well. With your Unity project open and the Amazon Mobile Ads SDK plugin imported, we are ready to write some code. If you've never published an app to the Amazon Appstore, now is the perfect time to join! Most Android apps just work on the Amazon Appstore, but it’s not always easy being the new guy. That’s why for a limited time, we’re helping drive impressions and installs for developers that publish to the Amazon Appstore for the first time. Publish your first app to the Amazon Appstore by August 16th, and we’ll provide you with a $100 promotional credit towards an ad campaign on Advertise Your App. Advertise Your App helps you promote your app to millions of users on Fire tablet wakescreens and mobile placements on the Amazon Mobile Ad Network. Ads are shown to users within the United States, depending on app compatibility. We are excited to announce that our new Amazon Cross-Platform Mobile Ads API Plugin is now available for Unity, Cordova, Adobe AIR and Xamarin. The Amazon Mobile Ads API is an in-app display advertising solution for monetizing mobile apps and games across many devices, including phones and tablets on Android, iOS, and Fire OS. In this post, we’ll walk through how to integrate Amazon Mobile Ads into your game to maximize revenue while maintaining a user-friendly experience. The same best practices can also be used in a mobile app as well. If you’re familiar with existing ad services or have seen ads appear in games created by other developers, you’ll find that the Amazon Mobile Ads API is easy to wrap your head around. The basic ad formats supported are banner ads, which come in the sizes 320x50, 300x250, 600x90, 728x90, and 1024x50, and full screen interstitials; note that banner ads loaded through the new cross platform plug-ins will have their sizes chosen automatically. Our ads target users in the US, UK, Germany, France, Spain, Italy and Japan, and our service is geared towards delivering great eCPM (effective cost per thousand impressions) and high quality ads. Integrating the Mobile Ads API is straightforward and we provide individual documentation for each newly supported platform: Unity, Cordova, Adobe AIR, and Xamarin. We also offer a single portal for integration and tracking, allowing you to measure your success rate with actionable and easy-to-use reporting. For more information about the entire Amazon Ads platform, check out the Developer Portal. The Amazon Mobile Ad network is offering a limited time opportunity to earn a guaranteed $6 CPM for interstitial ads on qualifying apps*. All qualifying iOS and Android apps that integrate the Amazon Mobile Ads API and send the ad request for the first time on or after July 14, 2015 will receive a guaranteed $6 CPM on interstitial ads in September, October and November (up to 1 million impressions per app per month). Interstitial impressions served across all supported devices (iOS, Android, and Fire OS tablets and phones), supported countries (US, UK, Germany, France, Italy, Spain and Japan), and supported stores (Apple App Store, Google Play and Amazon Appstore) qualify. Learn how the top 50 game developers leverage in-app purchasing to monetize successfully, and get actionable data to help you increase the profitability of your games. 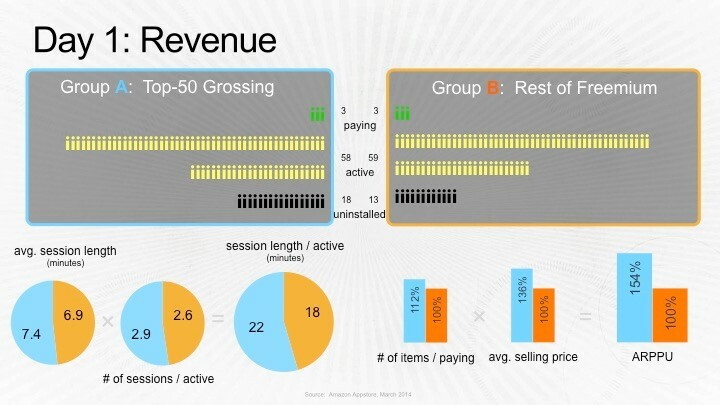 I’ll review data Amazon has collected about how users engage with IAP in games, and go into detail about some of the best ways to increase customer conversion and revenue. What the top 50 developers do with in-app purchasing that other developers don’t. Actionable data and tips to help you get started. How selection drives engagement and repeat orders. How to increase revenue by launching new IAP price points. We’d like to share an offer by Applovin – “The App Challenge” to help Amazon developers monetize. AppLovin recently announced that Appstore developers can now integrate the Applovin SDK and start monetizing their Amazon apps with ads from Applovin. With this offer, any developer who publishes an app to the Amazon Appstore will receive an additional dollar for every dollar they make from that app using the Applovin SDK. Developers can earn up to $500 dollars and all apps published from 7/1/ 15 – 8/31/15 are eligible to participate in this offer. Build your app and add the AppLovin SDK. Publish your app to the Amazon Appstore. Submit your app to the challenge by simply filling out the entry form. Receive your rewards within 4 weeks (9/30/15) of the offer end date (8/31/15). This challenge is open to all, so please feel free to refer friends and other developers. For additional details and offer terms and conditions, check out the official announcement by Applovin. We are excited to announce that developers can now monetize their Amazon apps with TrialPay, a leader in cross-platform monetization and reward-based advertising. By integrating the TrialPay Evergreen SDK or native ads API, developers can dynamically surface any type of ad format including native ads, offer walls, or videos. This enables Amazon developers to monetize users who don’t typically buy IAP items by offering them ads they can interact with in exchange for in-app currency. For example, users can watch a movie trailer or buy flowers for Mother’s Day to earn in-app currency. Giving users a way to enjoy IAP items for free makes TrialPay an attractive tool for increasing the number of paying users. Industry leaders such as Glu, Zynga, and Kik use TrialPay to enhance their ad offerings. 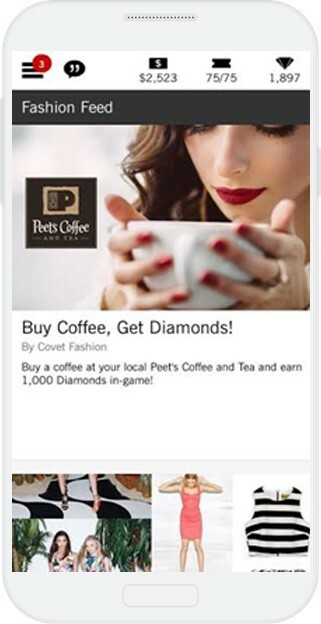 As of late, TrialPay is also helping developers tap into the online-to-offline opportunity by rewarding users for everyday purchases at retailers such as Peet’s Coffee and Sephora. Their event-based Evergreen SDK lets developers show offers that are contextually relevant to events in their apps. Developers have easy dashboard controls to toggle dynamically between ad formats. In addition, TrialPay’s Native Offers API provides access to a wide variety of ad types, supporting app installs, video, and seasonal promotions. Developers have complete control over the UI to match the look and feel of their app and integrate more deeply with the app experience. Developers have a choice on the integration method. TrialPay offers both a lightweight SDK and a Native Offers API option. Visit the TrialPay Mobile Development Center to get implementation details. You can also email mobilesales@trialpay.com for more information. Mention this Amazon blog post in the subject line to be paired with a dedicated account manager today.